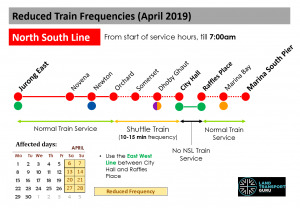 Longer Train Service Intervals along the North South Line (NSL) between Orchard and City Hall will take place on Saturdays & Sundays in April 2019 to facilitate additional engineering hours for power supply system renewal and maintenance works. 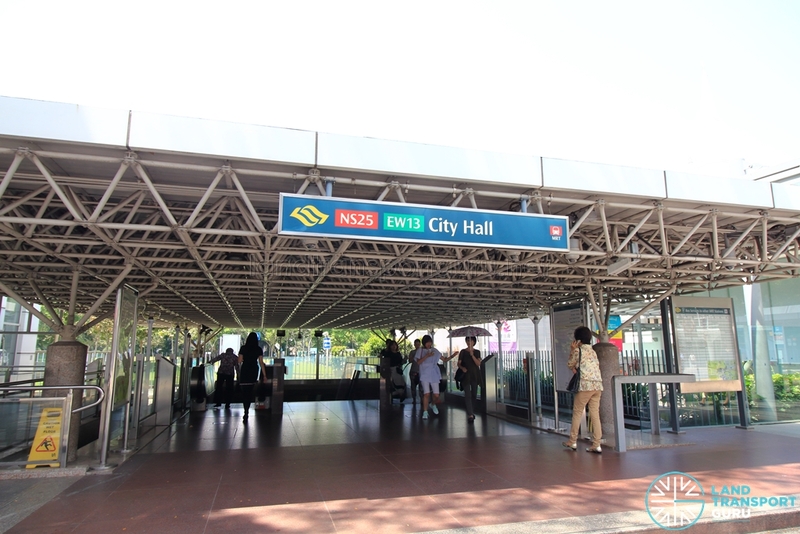 In addition, NSL Train Service between Raffles Place and City Hall will not be available during the affected periods. Commuters travelling between these stations can use the East West Line (EWL) instead. Commuters travelling between these stations can use the East West Line (EWL) instead.